Our BIPV modules integrate seamlessly into buildings. Traditional materials are replaced by new energetically active ones. As construction elements, they comply with different practical aspects such as mechanical resistance and stability; structural integrity; safety of use; protection against the climate. 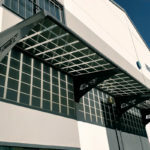 The architectural integration of photovoltaic tiles in the constructions, makes possible the creation of glazed surfaces that, besides being an aesthetic and functional novelty, generate electrical energy, improving the thermal and acoustic isolation of the buildings, allowing also the realization of a solar control and the electrical autonomy with the consequent energetic savings. We manufacture custom modules fully customized in power, size and technology. We provide solutions for the replacement of low efficiency photovoltaic modules manufactured in previous years that are not on the market. 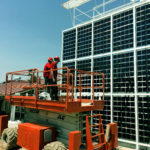 Facilitating the replacement of damaged PV modules, avoiding the repowering of Photovoltaic Plants and the modification of the support structure. 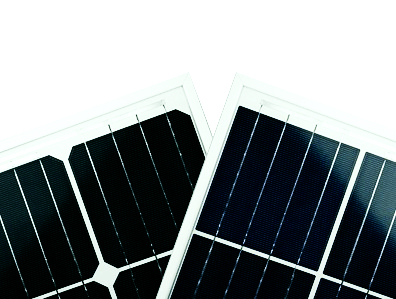 We offer our product range of standard high performance Photovoltaic Modules. 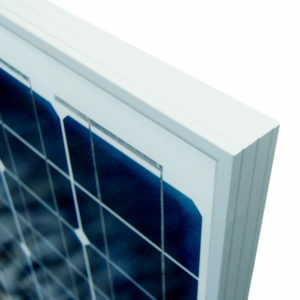 BIPV Solutions uses state-of-the-art materials to manufacture its photovoltaic modules. Our modules are ideal for any type of application that uses the photoelectric effect as a source of clean energy, due to its minimal chemical pollution and zero noise pollution. Thanks to their design, they can be easily integrated into any type of installation. The cookie settings on this site are set to "enable cookies" to provide you with the best possible browsing experience. If you continue to use this site without changing your cookie settings or clicking "OK" you will be giving your consent to this.